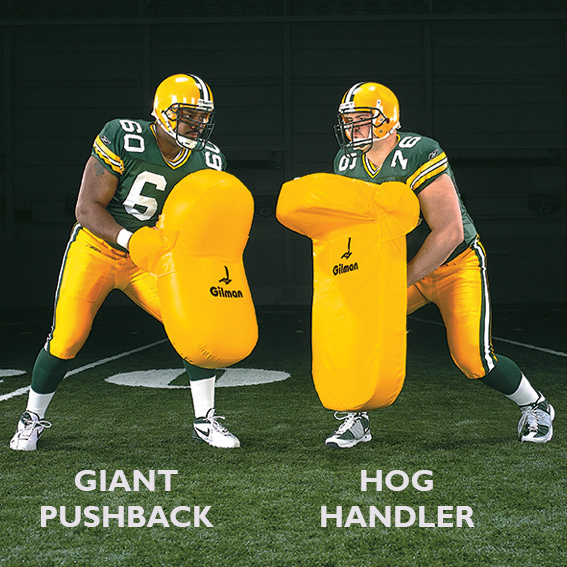 The GIANT PUSHBACK is an air-filled shield. Angular shape encourages a dip and lift blocking charge. Ideal for load, seal, and arc blocks. Mirrors the curvature of the chest and hips when a player crouches in a hitting position. Measures 10" thick by 20" wide by 42" long. Four handles.